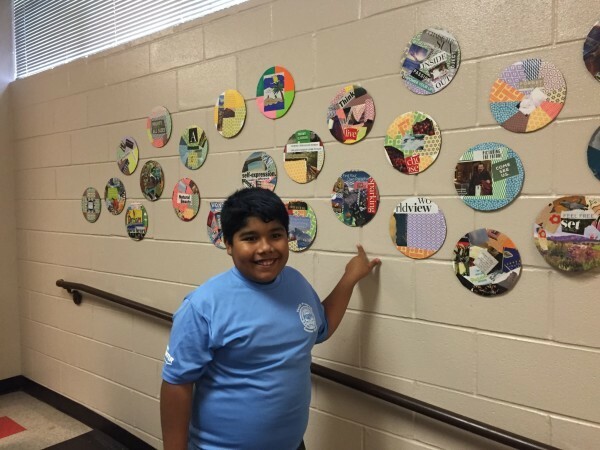 This summer, I led an art project at APD’s Youth Summer Camp at Kealing Middle School. Share Art Heal, a non-profit, had reached out to me, as well as another local artist, S.J. San Juan, to come up with projects for these kids. I was given the theme, anti-hate, anti-bullying. I did two projects, Positive Pop! and What Goes Around, Comes Around. The concept behind my group projects is the idea that all people need to focus more on positive affirmations and positive words for oneself and with others. This helps build a strong foundation and community. S.J.’s group project was the Barton Creek Paintings, getting the kids involved creatively with one of the places that make Austin so special. Share Art Heal also took the kids to the Long Center to get a backstage tour as well as check out my solo exhibition, You & Me: It’s in Our Nature at Gallery 701. They were able to view my art, interact, and ask questions. 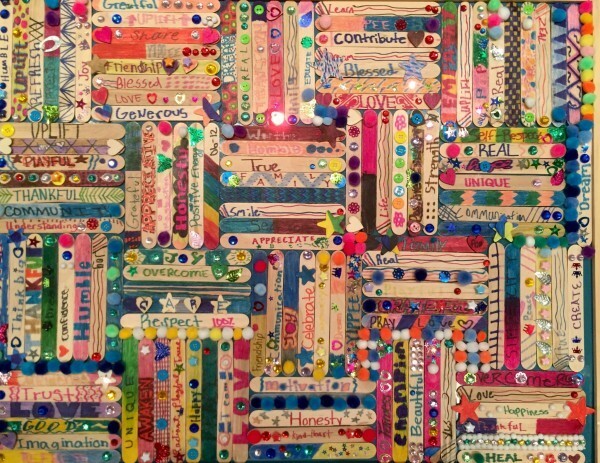 Their collaborative piece, Positive Pop!, made a special showing in Gallery 701 for the tour that day. “Share Art Heal field trip with the Austin Police Department Summer Youth Leadership Program. These kids are future leaders in our community. The Share Art Heal artists and volunteers brought art to the program all month. The artwork the students created with Austin artists Hallie Rae Ward and Saul Jerome San Juan will be displayed in the new Frost Bank Branch in the Kealing neighborhood opening this summer, in the offices of Austin Water, at the Blue Santa Warehouse and at Kealing Middle School. Today the students saw art they created with Hallie on display in the new Gallery 701 at The Long Center. Hallie gave a tour of her exhibit You and Me: It’s in Our Nature and they also had a behind the scenes tour of The Long Center including backstage and on the stage.